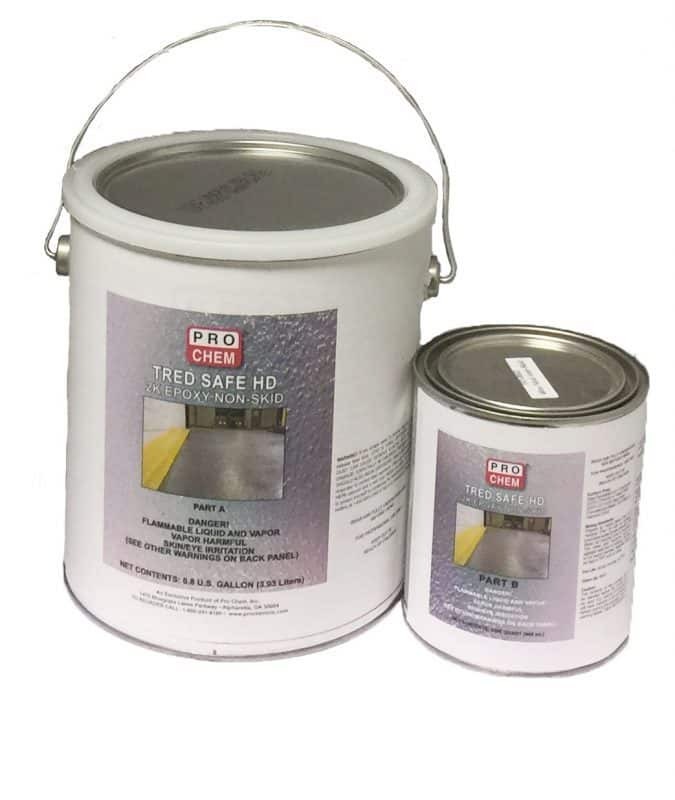 TRED SAFE HD | Pro Chem, Inc.
TRED SAFE HD is a heavy-duty, two-component, high build, nonskid epoxy coating that is specifically formulated to provide a durable coating. It can be applied indoors or outdoors. Its heavy-duty grit allows for nonslip surfaces even in the slipperiest of conditions. 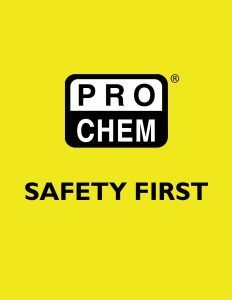 Surface Prep: Read Surface Preparation thoroughly prior to beginning project. Also, review all warning labels and follow all precautions before opening package. Steel: Sandblast to a “Commercial (SSPC-SP6-63) or “Near White” (SSPC-SP10-63) blast finish. Concrete: Sandblast, Shot Blast or Diamond Grind. Mixing Directions: Prepare by mixing Part A to Part B with an explosion-proof, slow-speed, power drill with a Jiffy Mixer. No induction time is necessary. Part A and Part B must be agitated well prior to mixing. Thinning is not recommended. Material should be kept a 75ºF prior to using. *TRED SAFE HD must be used with Phenolic roller.